Last February we planted three more trees to bring the grand total in our tiny orchard up to seven! 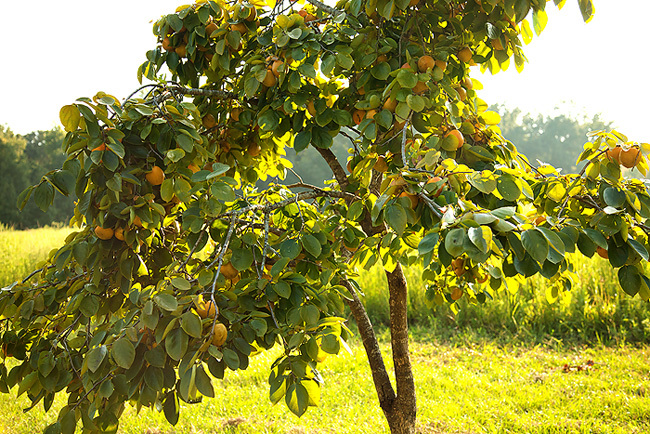 One of the older persimmon trees is covered in fruit. If you are wondering, the first photo was taken with the sun to my right which resulted in a blown out sky. The second photo was taken with the sun to my back which resulted in the blue sky. Oh, and Mason's photo made it into the voting round at i heart faces! Click here if you'd like to vote for him (#39). Looks like you are having wonderful weather where you are. 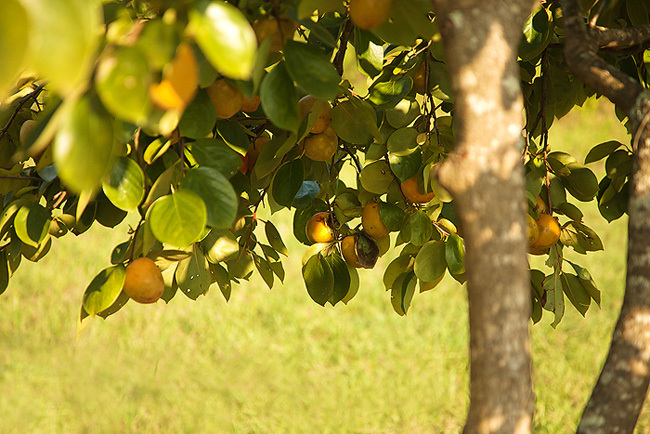 That tree is fairly well loaded with fruit. Lucky you. Hope it's tasty!! 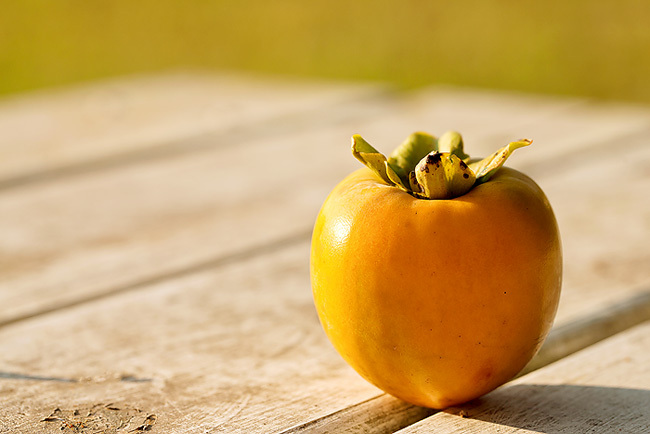 I LOVE persimmons, especially if they are fully ripe. The last photo is great. Oh such beautiful shots! I love the last one, awesome! Thanks for the tips on the sun position. I don't think I've ever paid much attention, but it sure does make a difference. Love that last shot - the color is fabulous! Love these shots! Congrats on Mason's photo in the contest! Aren't persimmons those waxy type fruits???? love the golden glow in these photos! These are all so gorgeous Deb. Wonderful shots. I've never tasted one of those fruits before. Great advice on getting a blue sky - sometimes I struggle with that normally because it's impossible to get to the other side of the subject and I end up underexposing and taking a raw image aswell so I can alter it later in photoshop. Gorgeous Deb. I would LOVE to vote for your lovely piture my dear! On my way....! Love that last picture! So pretty and simple! Wow, that is one healthy looking tree! Persimmon trees grow wild a lot around here. My mother-in-law makes a persimmon pudding that everyone goes nuts for. Everyone except me. I just can't make myself like that stuff! Those look awesome! and congrats...I voted! Love the colors in these photos, so warm and bright! Going to vote! How pretty. How do they taste? I know why you love going out there. great colors, bright and sunny! 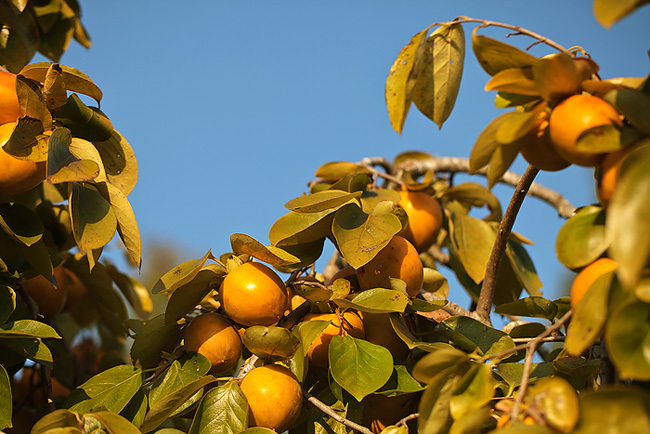 Persimmons, so cool! Had no clue you have orchard, how cool! And congrats on Mason's pic, heading over to vote now! oh wow, these are so beautiful! I love the second to last one especially--it looks so warm and lovely! Our neighbor has a tree but it doesn't look nearly as healthy as yours. Love that last shot. I love persimmons. How wonderful to have your own growing. Beautiful golden photos too. I've never had a persimmon. Your photos are beautiful! Congrats on having a photo picked at I heart Faces! I voted! How awesome. I LOVE persimmons! So yummy. Very pretty photos. Love the light. I honestly have no idea what a persimmon is. I love that last shot! 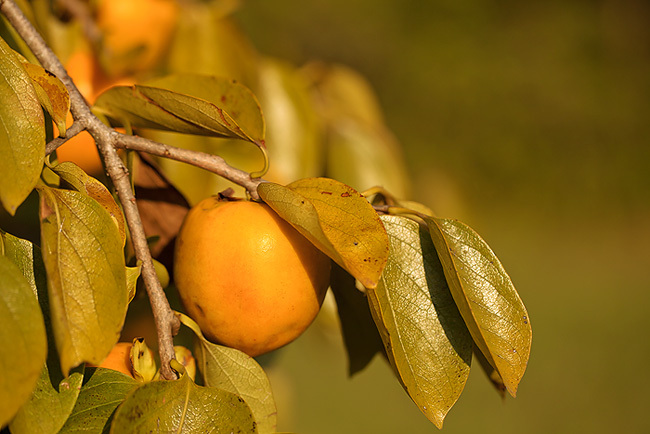 My very first favorite fruit as a child was persimmons! My grandma said that I couldn't eat enough of it. We don't seem to get as many of it these days, though. Off to vote for Mason! Beautiful. Our neighbor has one. I'm waiting for the fruit to ripen. I don't like persimmons, but love the colors.